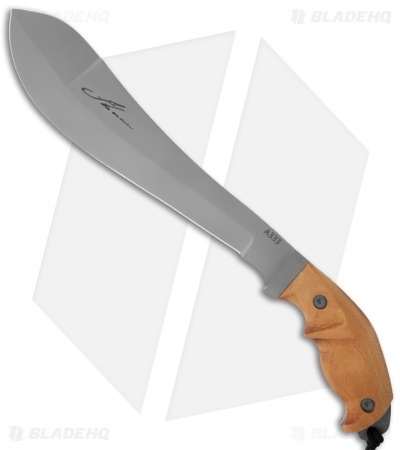 Drawing on his years of experience living in the wilderness Lofty worked closely with the legendary knife designer Ivan Williams and Scorpion Knives to create the Lofty Wiseman Survival Tool. 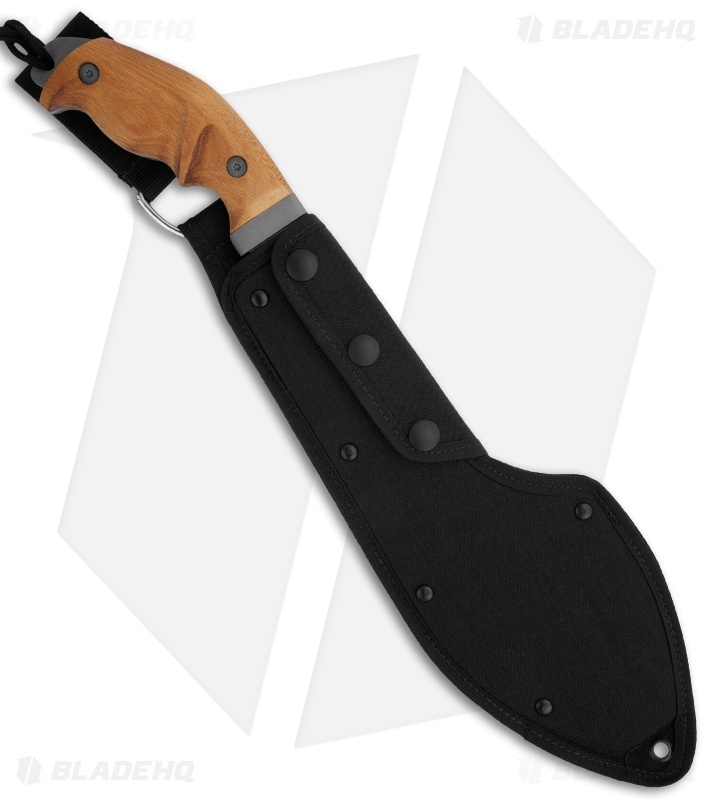 Each knife is hand crafted by Scorpion Knives and is able to carry out the toughest and most arduous tasks with great efficiency, year after year. The 11 inch blade is curved to give maximum cutting ability with minimum effort. The blade has a natural steel finish. The back is broad and gives it perfect balance. The blade is hand ground with great precision to a razor edge that is easily maintained. Near to the hilt the blade is ideal for close carving or feathering wood. The weight of the blade is carried to the end and is perfectly balanced with the angled handle to effortlessly chop wood. Finally the double-edged point to the blade gives it good digging capability and is excellent for skinning and scraping hides. The AISI 1055 / BS EN9 steel has been selected to take shock and bend rather than snap. The blade is hardened to RC 54 from the front cutting edge backwards. This ensures it holds a keen edge that can be sharpened in the field but which leaves the main body of the blade ductile enough to bend rather than snap minimizing any risk of being left in the wilderness with a broken knife. The beech wood handle is contoured to fit the hand so comfortably it can be used for extensive periods without discomfort. To ensure consistency, the handle is CNC milled by master gunsmiths Boxall & Edmiston, and being beech wood it can be tuned by an individual to their precise grip.